Born in the underground ballroom scene of New York's Harlem district, the art form of voguing has been promoting liberation and community since the 1960s. As US TV series Pose starts on BBC Two, ELENA CRESCI explores how vogue ball culture is thriving in Britain. Vogue is an art which has influenced so many parts of modern culture. It’s dance, it’s fashion and, with the modern form’s dips, it’s sheer athleticism. Voguing was born in the ballroom scene of Harlem, New York City, where the predominantly black and Latino LGBT community found a safe space to express themselves. It exploded into the mainstream in the late '80s and early '90s, first through Malcolm McLaren’s song Deep In Vogue and, of course, Madonna’s Vogue. 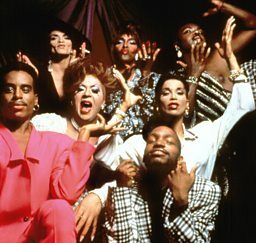 The seminal documentary Paris is Burning documented the scene at the time. Ballroom culture and voguing never went away after that initial mainstream attention died down but, almost 30 years later, the underground subculture is enjoying a worldwide mainstream revival. It has been featured by artists like Solange Knowles and FKA Twigs. RuPaul’s Drag Race, a reality TV series which has permeated internet culture like no other, owes much of its language and format to vogue and Ballroom culture. This week, BBC Two begins showing Ryan Murphy’s Pose, a dramatisation of the New York ballroom scene of the 1980s. It debuted in the States last year and made television history for featuring the largest cast of transgender actors on a scripted series. It airs in the UK as the British Ballroom scene reaches new heights. Deep in Vogue, a documentary making its world premiere on Sunday 24 March at BFI Flare: London LGBT+ Film Festival, looks at the scene in the North specifically, honing in on Manchester. We always say we’re a celebration of the culture - it comes from the American, black and Latino community, and we’re not that. One of its key players is Darren Pritchard, who leads the House of Ghetto. In 2008, he and another big name in UK vogue, Darren Suarez, organised Liverpool is Burning. “He was an original voguer from the 80s,” Pritchard explains. “We were experimenting with the vogue dance style and decided to try out a Ball. He adds: “We always say we’re a celebration of the culture - it comes from the American, black and Latino community, and we’re not that. Since 2008, participants have grown from around 200 to 800, with further events in Manchester, Leeds and Newcastle, each city with their own respective houses. When you’re promoting drag culture, you’re also promoting vogue culture. Part of this has, of course, come because of the immense popularity of Drag Race, which borrows heavily from Ballroom and is peppered with references to Paris is Burning. Aja displayed vogue elements in her All Stars variety show performance. The original scene came as an escape for the disenfranchised. Houses were not just teams for competing, but also families for people who were often rejected by their biological ones. In many ways, New York balls were the original safe space - and Pritchard says this safety and inclusivity is something he’s worked hard for in the houses and events he has set up. Because it is so attention-grabbing, vogue is prime for viral moments. Because it is so attention-grabbing, vogue is prime for viral moments. One video from 2013 shows a battle in Sweden between dancers dressed as Sailor Moon and Wonder Woman. Those viral moments can, like the art form, be political. In 2016, a clip of London voguers, including Jay Jay Revlon, who organises many of London’s vogue events, battling during a vigil in Soho for the victims of the Pulse terror attack was widely shared. 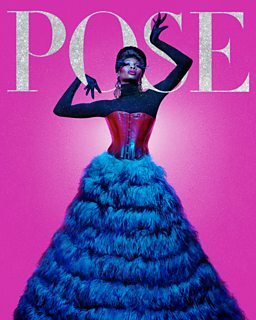 Pose is on BBC Two on Thursday 21 March at 9pm, then available on iPlayer. BFI Flare: London LGBT+ Film Festival runs 21-31 March 2019 at BFI Southbank, London. It culminates on 5 April 2019 with 11 hours of live performance, rehearsals and insights.